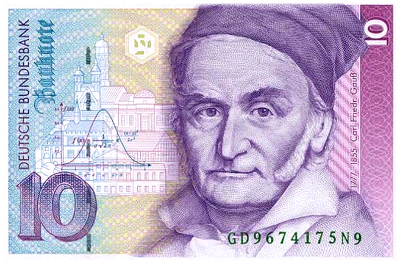 Carl Friedrich Gauss was born on 30 April 1777 in Braunschweig (Brunswick), and died at the age of 77 on 23 February 1855 in Göttingen. He was a mathematician, you've probably heard of him; he even has his own Linnean handle: Princeps mathematicorum, or Prince of mathematicians (I assume it's the royal kind, not the Purple Rain kind — ba dum tss). 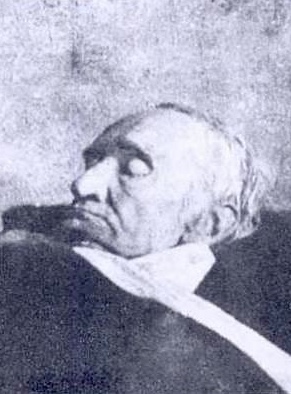 Gauss's parents were poor, working class folk. I wonder what they made of their child prodigy, who allegedly once stunned his teachers by summing the integers up to 100 in seconds? At about 16, he was quite a clever-clogs, rediscovering Bode's law, the binomial theorem, and the prime number theorem. Ridiculous. His only imperfection was that he was too much of a perfectionist. His motto was pauca sed matura, meaning "few, but ripe". It's understandable how someone so bright might not feel much need to share his work, but historian Eric Temple Bell reckoned that if Gauss had published his work regularly, he would have advanced mathematics by fifty years. He proved the fundamental theorems of algebra and arithmetic. No big deal. He formulated the Gaussian function — which of course crops up everywhere, especially in geostatistics. The Ricker wavelet is a pulse with frequencies distributed in a Gaussian. The gauss is the cgs unit of magnetic flux density, thanks to his work on the flux theorem, one of Maxwell's equations. He discovered the Cauchy integral theorem for contour integrals but did not publish it. The 'second' or 'total' curvature — a coordinate-system-independent measure of spatial curvedness — is named after him. He made discoveries in non-Euclidean geometry, but did not publish them. Excitingly, Gauss is the first great geophysicist we've covered in this series to have been photographed (right). Unfortunately, he was already dead. But what an amazing thing, to peer back through time almost 160 years. Next time: Augustin-Jean Fresnel, a pioneer of wave theory.